*OVER* Krispy Kreme: Green O'Riginal Glazed Doughnuts are Coming Soon! Wow! 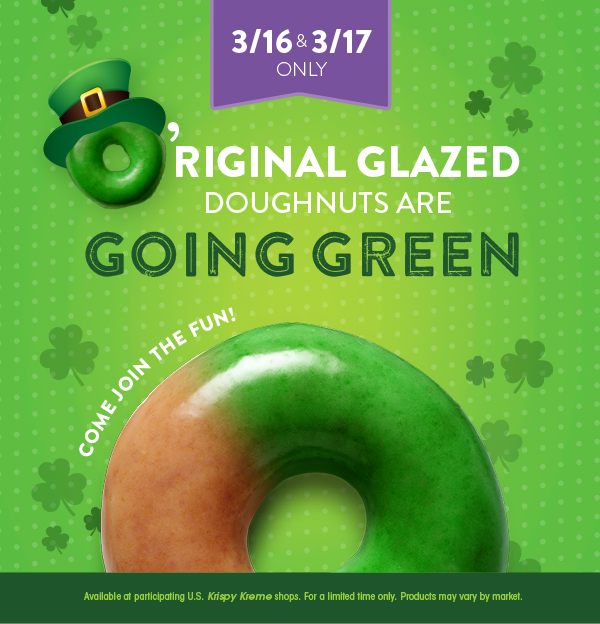 Join the St. Patty's Day fun at Krispy Kreme on 3/16 & 3/17 ONLY and get an Green Original Glazed Doughnut! *Available at participating U.S. Krispy Kreme shops. For a limited time only. See store for complete details.